Don’t worry though– we won’t bother you with actually creating any real “art” as art director either. 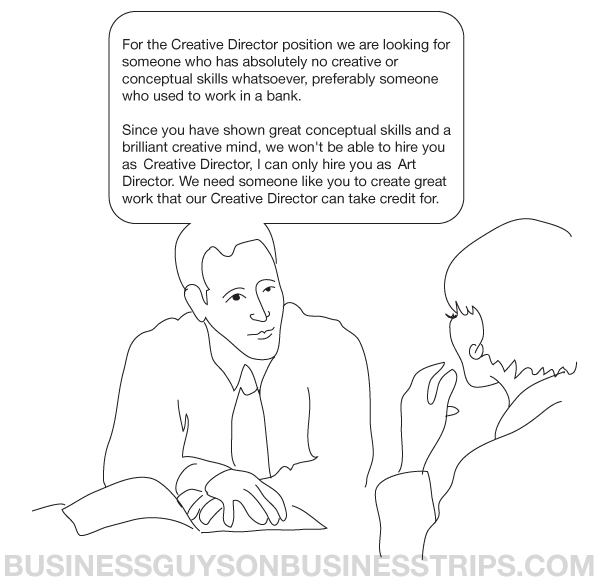 We’ll hire that out, or better yet, find something out of a clip-art cd. your site is brilliant. I used to work for an ad agency and this is the stuff that goes on all the time. All the sketches throughout the site, you’re right on dude!